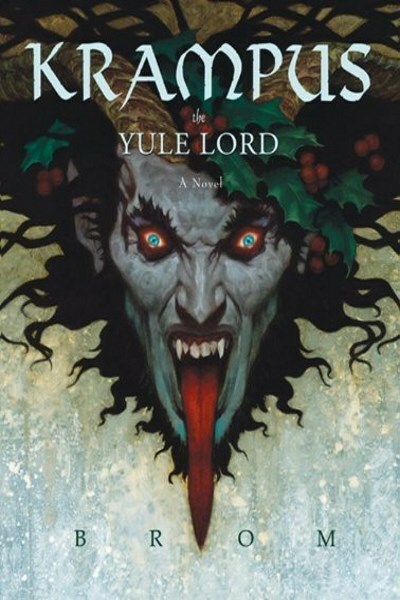 Krampus by Brom celebrates the mythology and folklore surrounding the pagan figure of Krampus, the Yule Lord, in a novel that is part fantasy, part horror, and part holiday treat. I went into this one with neither the highest expectations nor the foggiest idea what direction the story might take. Though the beginning is a tad shaky, as we are introduced to the main character Jesse, once the disparate pieces start falling into place I was pleasantly surprised to find a wide array of characters with rich personalities and motives and a story that portrays Krampus as everything one would expect: he is both good and terrible, with qualities that make him, in many cases, as human as you or I. Though the legend of Krampus cuts across different cultures and takes many forms as a result, Brom selects a decidedly Norse leaning interpretation of the horned creature. Those familiar with Norse mythology will encounter many familiar personas (some directly and others by reference): there’s Odin, Loki, Hel, Geri, Freki, Huginn, Muninn, and others. Krampus’s acolytes are referred to as Belsnickels, which is not Norse in origin but German, brought over by early immigrants to America from that country. Then there’s the Christian influence, the followers of which instantly see Krampus as none other than Satan himself. Krampus is a seven foot tall demon with curved horns sprouting from his head, so can’t really blame them. The story of Krampus is this: Santa Claus imprisoned Krampus hundreds of years ago and, as a result, Yule and its traditions have been forgotten. Krampus himself is wasted away, a sad shadow of his former self. But he still yearns to return to the world to spread his own particular form of holiday cheer. 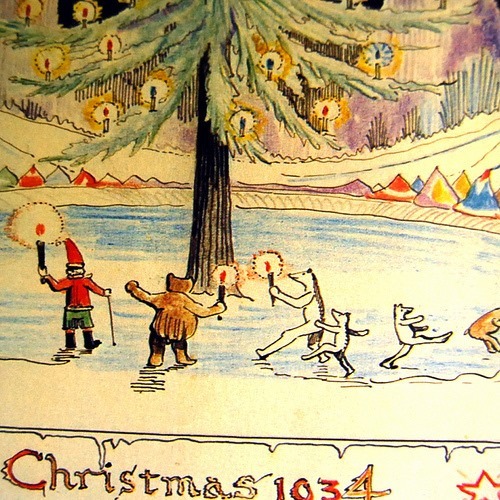 His Belsnickels, or servants, carry out his will, slowly setting the stage for the Yule Lord’s escape and the fruition of Krampus’s dream: to kill Santa Claus and to then remind the world that Krampus was here first. While there are elements of horror in Krampus, this is not solely a horror novel. 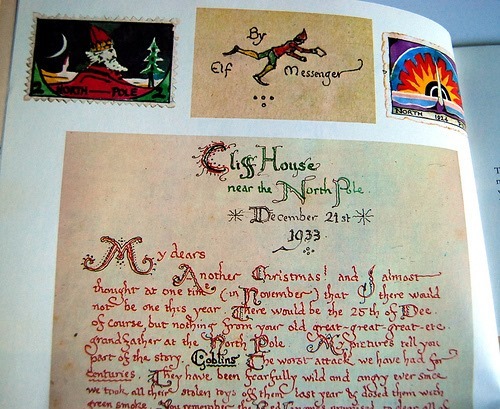 There are some gruesome deaths, but there are also many fantastical elements, such as Santa’s flying sled, reindeer, and his sack, which he stole from Krampus long ago and which can produce nearly anything one desires as long as the user is of Loki’s bloodline. Jesse had never seen this side of the Yule Lord, and it occurred to him that he was seeing the real Krampus, the Krampus of ancient times, the great and wild Yule spirit that galvanized mankind to brave the darkest primeval nights, kindled their will to survive the trials of the harshest winters. He could almost see the horned beast dancing this very jig within the communal houses of primitive man. Jesse saw the way the people fed on Krampus’s spirit, and how, in turn, Krampus fed on theirs. And understood now just why those shoes, with their small tribute of candies, meant so much to the Yule Lord. That what Krampus needed more than anything was a flock to shepherd, to protect and inspire. Krampus is as much a story about the traditions of Christmas and Yule as it is a tale of discovery. Krampus steals the show in many scenes, but the supporting characters have stories of their own that I found intriguing and fun to follow along. 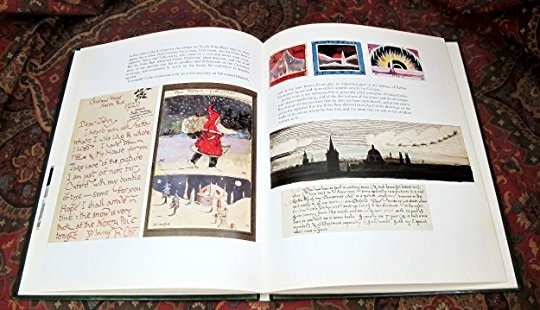 Krampus is an alternate classic for the holidays which I could see myself reading again and again. 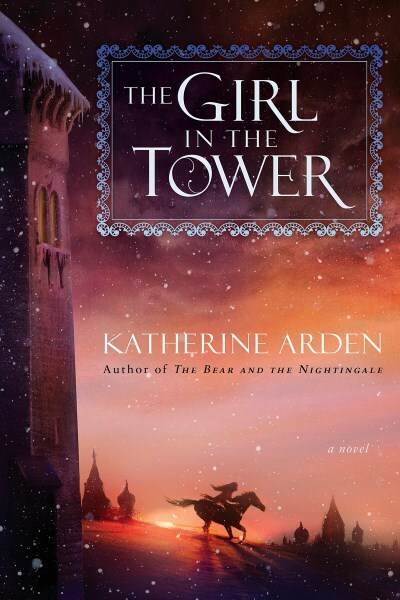 The Girl in the Tower by Katherine Arden is the second novel in the Winternight Trilogy. The first book in the series, The Bear and the Nightingale, earned a rare five rocket rating from us because it’s that good. Well, Ms. Arden has done it again: The Girl in the Tower continues the elegant storytelling and magnificent worldbuilding of the first book and earns another five rocket rating for the second installment in the Winternight Trilogy. In the interests of full disclosure, we received a copy of The Girl in the Tower from the publisher in exchange for a fair and honest review. The reader is drawn back into the story right where the first book ended. Vasya has left her home for fear of what might happen to her with her father gone and because her wild streak demands she set out to see more of the world than just her small corner of it. Though she sets out to see far distant corners, she doesn’t make it any further than the region surrounding Moscow when mysterious riders take an unexpected interest in her. With bandits burning villages indiscriminately and Vasya’s brother, Sasha, soon at hand, Vasya finds herself embroiled in Moscow’s plots and machinations, and the designs she’d had for her life fall by the wayside. Morozko is back, as are many other beings taken from Russian folklore. As before, only Vasya can communicate with them. They are an integral part of the story, but not nearly as much as in the first book. There is a deeper mystery in this book, however, one which I won’t go into to any degree for fear of giving something away. I will say only that it has something to do with the title of the book. Vasya remains a strong and brave character, but one who is extremely vulnerable if only because of the constraints put upon all women of that time period. She does achieve a certain amount of freedom beyond the norm, but only when she is on her own (or subsisting with Morozko’s help). The moment she steps back into society, she quickly finds herself shackled. Any other woman would accept such imprisonment, yet because of her resolve and willingness to sacrifice herself, Vasya breaks free of such constraints and ultimately achieves things that no other person can. I think it’s important to close with a look at what the author is doing to make this such a great series so far. There’s the setting: Russia, set in a time period that has the flavor of the middle ages. There’s the mythology and folklore, which, despite the influence of Christianity, brings with it a great amount of superstition. Also, there’s the characters, which defy stereotypes in many respects. Last, there’s the writing, which is consistently good and always moving the story forward. Getting any one of these right is not that hard. But getting them all right? It’s not common. The Girl in the Tower is another fantastic read from a true up and coming author. If you haven’t started reading these books, you need to start now. It’s rare a series this good comes along, so don’t miss it. Thanks to Tor Books I have a hardcover edition of Mississippi Roll to give away. Head over to the giveaway post on the Out of this World Reviews web site for more info. An alien bomb is detonated above the planet, shedding an indiscriminate gene virus on an Earth barely recovered from the horrors of World War ll. The result: Wild Cards. ACES blessed with superhuman powers and JOKERS cursed with bizarre physical and mental disfigurements. While the Wild Cards novels are edited by George R.R. 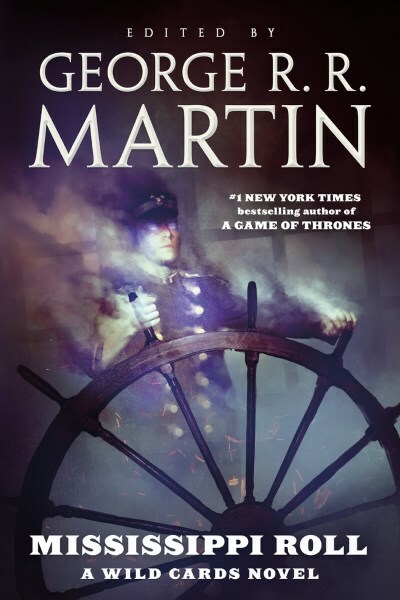 Martin of Game of Thrones fame, the stories themselves are written by a wide cast of authors. Mississippi Roll boasts the talent of Stephen Leigh, David D. Levine, John Jos. Miller, Kevin Andrew Murphy, Cherie Priest, and Carrie Vaughn. You may be asking yourself how Mississippi Roll can be classified as a novel with so many authors having taken part. Isn’t it by definition a collection of short stories? The answer is both yes and no. There is an overarching storyline that’s moved along via each individual story and a continuity that’s established by each author’s contribution picking up where the last story left off, though from a different character’s perspective. What binds all of the characters and their disparate, individual storylines together is the fact that they are all onboard the same steamboat, the Natchez, and they all cross paths with one central character: the Natchez’s captain, Wilbur Leathers. It is the year 1951 when we are first introduced to Wilbur Leathers, a vibrant river captain who shares the steamboat he calls home with his wife, Eleanor. Tragedy strikes and Wilbur is changed into what he thinks is a ghost. Given that this is a Wild Card novel, though, chances are he’s actually become an Ace, Joker, or something in between. Regardless, this life change brings about a separation from Eleanor, who leaves the Natchez forever, and a seemingly eternal captivity for Wilbur, who finds he is unable to leave the boat at all. Years pass as the Natchez finds herself with new owners, captains, and guests. All the while, Wilbur Leathers “haunts” the steamboat, becoming something of an urban legend. That’s the setup for Mississippi Roll. From there, the reader is introduced to a menagerie of colorful characters, their interactions while onboard the Natchez becoming the basis of each of the stories. Even though each tale is penned by a different author, I found the reading experience to be very level and smooth. This is the mark of a good editor; you can’t do much better than Mr. Martin. The characters are a mix of unchanged humans, Aces, and Jokers. The latter have talents that either get them into trouble or cause trouble, though all types of people alike are simply getting by in this world, some trying to make their mark more than others. There is no evil, per se, though there is certainly an alignment of better and worse as the stories progress and the central plot eventually comes to a head. The writing is top notch all-around, which shouldn’t be a surprise given the list of contributors. That being said, no particular story stood out to me above any other in terms of quality, though I can’t say the opposite, either. Overall, it’s a well written set of stories with some imaginative plots and characters. Mississippi Roll is appropriate for all ages. The stories range from lighthearted to suspenseful with some violence mixed in here and there. Only one story has strong violence as one of its central themes, but that one also involves forbidden love (so of course things are going to get violent). What really stands out in Mississippi Roll is the character and story of Captain Leathers. He binds all of the disparate stories together but also has one of the most interesting and intriguing storylines of them all. I felt for his situation and applauded his final fate, though it is not necessarily a good one. But he does find some peace, which is, I think, the best one could hope for given his situation. Mississippi Roll is an entertaining jaunt onboard a steamboat of old. The stories flow together seamlessly (a credit to the editor) and the overall story is fun and engaging while fitting nicely into the Wild Cards world. I’m giving it four rockets and a recommendation to add it to your TBR list. 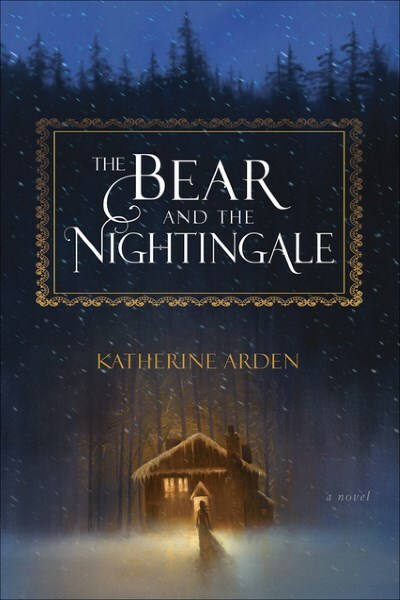 The Bear and the Nightingale by Katherine Arden is very much a story in the Uprooted vein. At its simplest, we have a rebellious daughter with hidden talents who must align herself with mythological, dubious intentioned entities else lose the lives of her family, her people, and quite possibly her very way of life. At its simplest, that is the story Arden has crafted, but The Bear and the Nightingale is so much more than that simple synopsis. Set in a rich world full of tradition, politics, and magic, the author strikes the perfect balance between nuanced, vibrant characters with complex motives and personalities and a plot that continuously moves forward. Vasilisa Petrovna’s birth is marked by death when her mother dies giving her life. Her mother, Marina, who is possessed of special gifts, knows Vasilisa, or Vasya, will be her last child and that she will not survive the ordeal, but she gives birth to her daughter anyway because she knows the gifts Vasya will bring into the world will be even greater than her own. Vasya is raised a wild child. Not because of her father’s lack of tutelage but because she is a creature that will not be controlled. Often she slips into the woods on her own, walking the forest paths and meeting the mythological dwellers there that only she can see. On one such walk she comes upon a great tree and a one-eyed man sleeping at its base. The man is no man at all, but a demon who slumbers now but is slowly waking. Once he does wake, he promises “everlasting life” to any who follow him. His offer is not what it may seem, of course, and so Vasya finds herself in opposition to the waking demon. Vasya is a headstrong woman in a world where such initiative is not often desired nor praised unless such person is a man. But Konstantin, Vasya’s daughter, is an understanding man who knows his daughter’s fire comes from her mother. I liked Konstantin a lot. He is very much walking a line of his own between the traditional world he lives in and a more progressive one where he sees his daughter’s wild spirit free to do as she pleases. 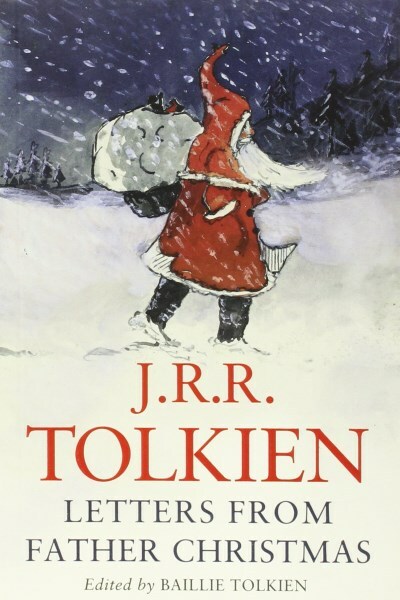 The times when he considers his Vasya toiling over a hot stove and seeing to her children and husband’s needs he is stricken with a heavy heart, for he knows the great potential Vasya possesses would be wasted on such a life. At the very end, Konstantin knows what he has to do to set his daughter free forever; his love for her is strong enough that he never hesitates. There are many other interesting characters: a priest whose story takes an unforeseen turn when he meets Vasya, a stepmother who embodies much of the atypical stepmother role so often seen in fairy tales, and an ensemble of brothers and sisters who are mostly supportive. Then there are the creatures whom only Vasya can see: vodianoy, vazila, upyrs aplenty, rusalka, and the brothers who are demons whom the real story revolves around. I’ll refrain from delving too much into any one of these, especially the brothers, for fear of giving something away, but suffice to say that the brothers are opposed to one another and Vasya finds herself caught in the middle. Of the world Arden has built for her novel all I can say is very well done. Set in the world of Rus’, it is very much a Russia that may have existed to some degree but many aspects only in folklore. Still, it is a beautiful depiction of a deep winter world where families huddle together around their oven to sleep and stay warm and where the coming snow cuts off entirely the rural community Vasya calls home from the rest of the world. The Bear and the Nightingale is historical fantasy fiction at its best. A vibrant world, rich characters, more than a hint of the supernatural, and an endearing main character who doesn’t have all the answers but isn’t afraid to find them makes this a must-read. Vasya’s story continues in The Girl in the Tower. It’s already on my reading list.